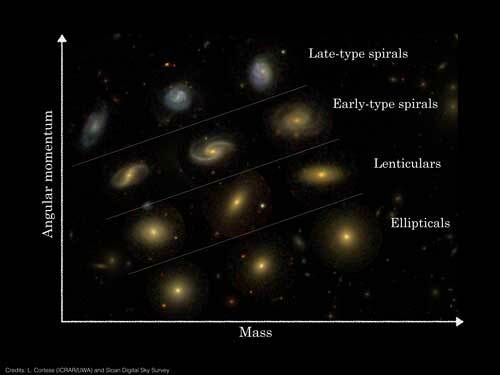 (Nanowerk News) In research published today ("The SAMI Galaxy Survey: the link between angular momentum and optical morphology"), Australian scientists have taken a critical step towards understanding why different types of galaxies exist throughout the Universe. The SAMI project, led by the University of Sydney and the ARC Centre of Excellence for All-sky Astrophysics (CAASTRO), aims to create one of the first large-scale resolved survey of galaxies, measuring the velocity and distribution of gas and stars of different ages in thousands of systems. “As we get better at doing this and the instruments we’re using are upgraded, we should be able to look for the physical triggers that cause one type of galaxy to evolve into another—that’s really exciting stuff,” Dr Cortese said.